What makes for a female friendly golf course? According to the Golf Digest magazine, the course must combine a design that tests strong players but still offers a fun vacation for the shorter hitters. Here are the top golf courses for women. 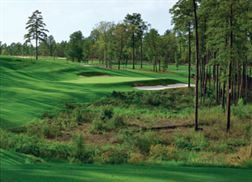 Pine Needles Lodge & Golf Club is a natural for first place with Peggy Kirk Bell as the owner. Good friends with golfer, Babe Zaharias, Bell has long been a supporter of women golfers. She established the first women`s pro golf tour and was one of the founding members of the Ladies Professional Golf Association. Pine Needles hosts numerous outings every year geared toward female golfers. It also offers some of the most comprehensive teaching programs designed just for women. Pine Needles also features great practice facilities, including a 400-yard fairway, three separate hitting areas, a three-hole practice course and covered stalls at the driving range. Accommodations include rooms in a Georgian-style inn or chalet-style lodges. Enjoy working off your tension in the resort`s state-of-the-art fitness center. The Boulders Resort and Spa features a luxurious Waldorf Astoria Resort located on 1,300 acres of stunning Sonoran desert. The Resort offers two championship golf courses designed by architect, Jay Morrish. Enjoy playing a round or two on those challenging courses with beautiful views, or sign up for private lessons from a golf instructor to help improve your swing. The world-renowned Golden Door Spa helps you to relax with a massage and facial after a day on the course. Tom Fazio designed the Pinehurst Course No. 8 to help commemorate the resort`s one-hundredth anniversary. The course has a few challenging, domed greens, but they keep the grass cut low on the green surrounds, making putting easier for the ladies. The tees and greens are fairly close together, which makes it an enjoyable course to walk. Pinehurst No. 8 has hosted the Pinehurst Women`s Golf Week LPGA Teaching and Club Pro Championship, the largest of its kind in the world. The resort is also home to the Pinehurst Golf Advantage School, a great instruction program for female golfers. The accommodations offer an old-world charm and elegance. You might also choose to relieve some of your tension with a treatment at The Spa at Pinehurst. 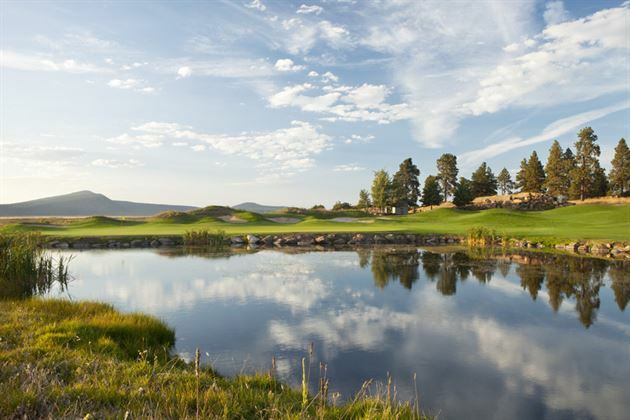 Arnold Palmer designed the Running Y Ranch course to combine several challenging holes with Oregon`s naturally rugged beauty. The front nine holes are located on restored wetlands and meadows and the back nine take you into a canyon, woodlands and along lakes. This golf resort also offers an 18-hole putting course, a practice facility, world-class instructors and a full-service golf shop. The Running Y`s Sandhill Spa offers relaxing treatments, including facials, massage therapies, aromatherapy and river stone massages. Located on the southernmost tip of St. Simon`s Island, this true Oceanside resort includes three championship golf courses that challenge players of both sexes when it comes to putting, recovery and shot selections. The resort has three courses, including the Seaside Course with its majestic ocean views. The Retreat Course has the most challenging and uniquely dramatic design, while the Plantation Course meanders through forest and marsh. When planning for a golf vacation, be sure to plan ahead. This will allow you to relax on your holiday and enjoy your golf games. You can save time and money by booking your hotel stay through a reputable reservation company such as secrethotels.org.